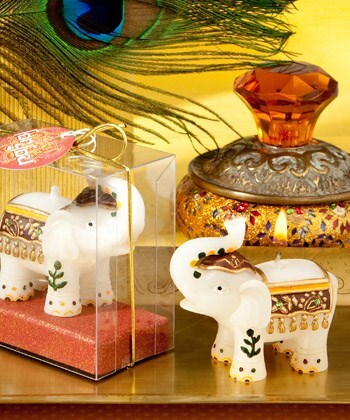 Bring Indian tradition and the wonder of the Far East to your event with these good fortune elephant candles. Whether you’re planning a traditional Indian wedding or you just want to put some Far Eastern flair in a day full of best wishes, this is one decorative and useful favour that your guests will never forget! With the essence of a majestic elephant and brought down to favour-size. But don’t worry, his power to please is still gigantic!